Kaela Nommay is an artist from San Antonio, Texas and moved to Fayetteville, North Carolina in May of 2016. She is an adjunct professor at 2 different universities in Fayetteville: FSU and FTCC. 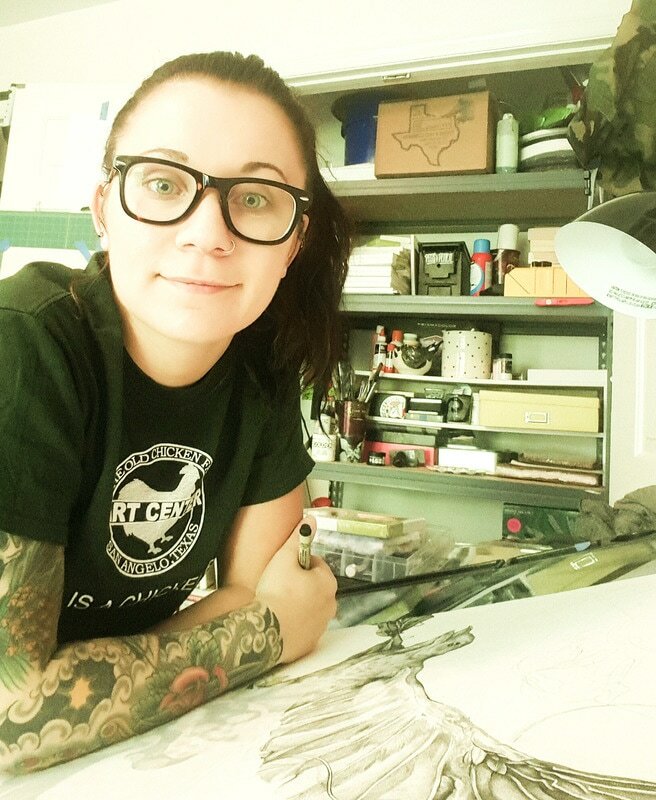 She received her MFA in ceramics from the University of Texas at San Antonio in May 2016, and her BFA from the University of the Incarnate Word in 2013, also in San Antonio, with a double concentration in ceramics and painting. Primarily her work recreates observations from everyday life, and since her move to North Carolina, she has had a new influx of inspiration with this new landscape. Having trees all around, a river a few feet from her balcony, and experiencing the changing seasons, gives a new source to observe the relationship between human space and nature. The bright colors that are found in her work are inspired by fashion and interior home trends.